The Stokes Kith and Kin Community Blog: Yes! 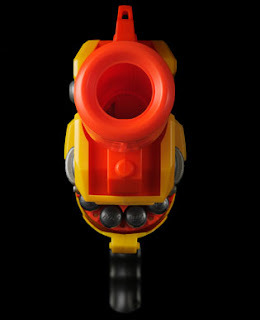 The rotating cylinder on this semiautomatic holds 10 Whistler Darts (their plastic tip is designed to make a high-pitched whine as air rushes past it). Jim McMahon in the Early Stages of Dementia? I Hate Cats, But . . .
"Marilyn Monroe Belongs to Everybody"
Hardly the Best and Brightest. "She Needs Him to Talk to Her - Conversation"
Tebow and Sanchez "Sharing the Stage"